This week we were delighted to welcome Professor Ekram Hossain from the University of Manitoba, Winnipeg, Canada. 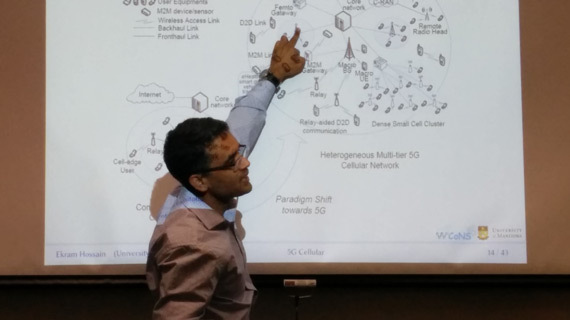 Professor Hossain is a well-known IEEE fellow, author and editor in ‘Communication Networks’ publications, and is the main lead for the ‘Wireless Communication, Networks and Services (WiCoNS)’ research group at Manitoba. This entry was posted in Masterclass Lecture and tagged 5G Cellular Networks, Ekram Hossain, masterclass lecture, mobile technology on June 15, 2015 by admin. 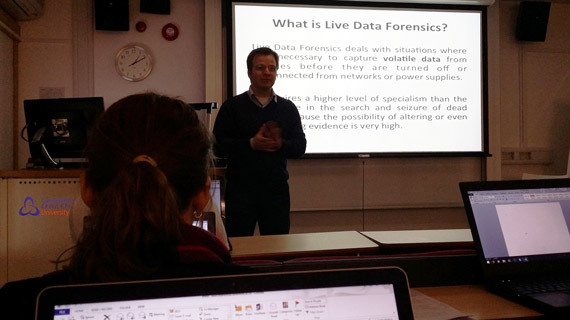 Victor Völzow presents his digital forensics Masterclass to CCCU students. This entry was posted in Masterclass Lecture and tagged masterclass lecture, security, Victor Volzow on March 13, 2015 by admin. Tom sits, tapping away at his keyboard; his monitor resembles something from the Matrix. All of a sudden, “[Access Granted]” flashes on the screen and Tom, unbeknownst to the bankers and its users, now has access to every customer’s details. A security breach of overwhelming proportions is now on our hands; and it all happened from within Canterbury Christ Church University’s Invicta building. 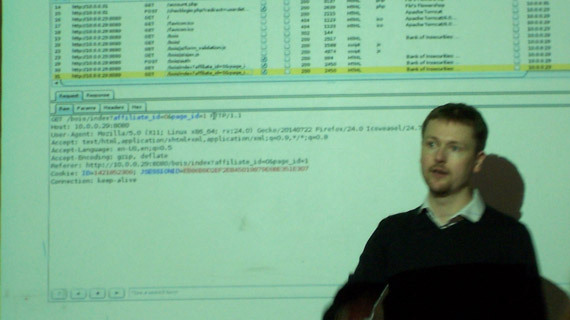 This entry was posted in Masterclass Lecture and tagged application security, Cigital, masterclass lecture, penetration testing on January 23, 2015 by admin.